Cynthia Erivo made an appearance at The National Association of Black Journalists and she posted an picture of her look on her instagram page. 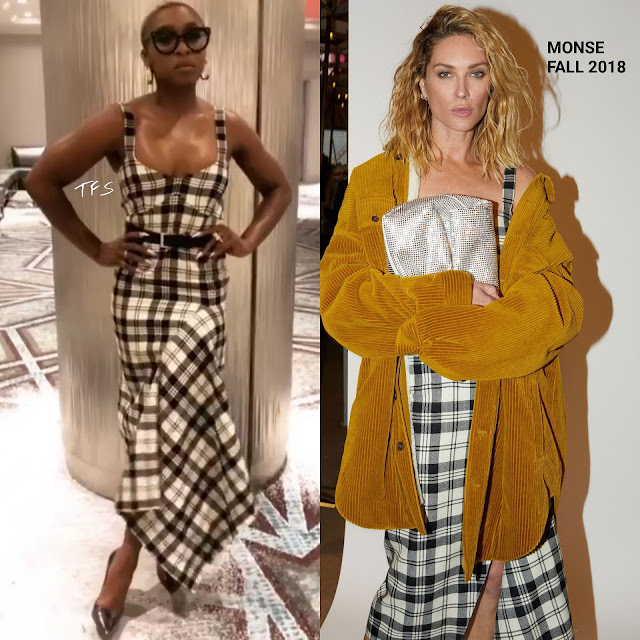 She posed for the gram wearing a MONSE FALL 2018 black & white plaid dress, featuring a belted waist and a asymmetrical, draped panel skirt with a split detail. Cynthia is owning her look and I thought she looked great. She finished up with CUBITTS glasses, JENNIFER FISHER jewelry and NICHOLAS KIRKWOOD pumps finished up her look. Are you feeling Cynthia's instagram style?